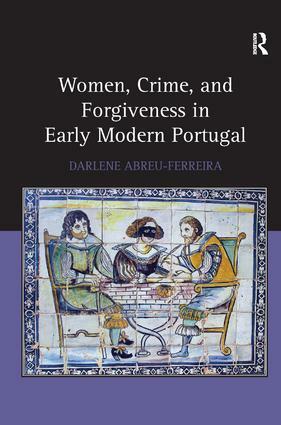 Looking at the experiences of women in early modern Portugal in the context of crime and forgiveness, this study demonstrates the extent to which judicial and quasi-judicial records can be used to examine the implications of crime in women’s lives, whether as victims or culprits. The foundational basis for this study is two sets of manuscript sources that highlight two distinct yet connected experiences of women as participants in the criminal process. One consists of a collection of archival documents from the first half of the seventeenth century, a corpus called 'querelas,' in which formal accusations of criminal acts were registered. This is a rich source of information not only about the types of crimes reported, but also the process that plaintiffs had to follow to deal with their cases. The second primary source consists of a sampling of documents known as the ’perdÃ£o de parte.’ The term refers to the victim’s pardon, unique to the Iberian Peninsula, which allowed individuals implicated in serious conflicts to have a voice in the judicial process. By looking at a sample of these pardons, found in notary collections from the sixteenth and seventeenth centuries, Abreu-Ferreira is able to show the extent to which women exercised their agency in a legal process that was otherwise male-dominated. Darlene Abreu-Ferreira is Professor of History at the University of Winnipeg, Canada.